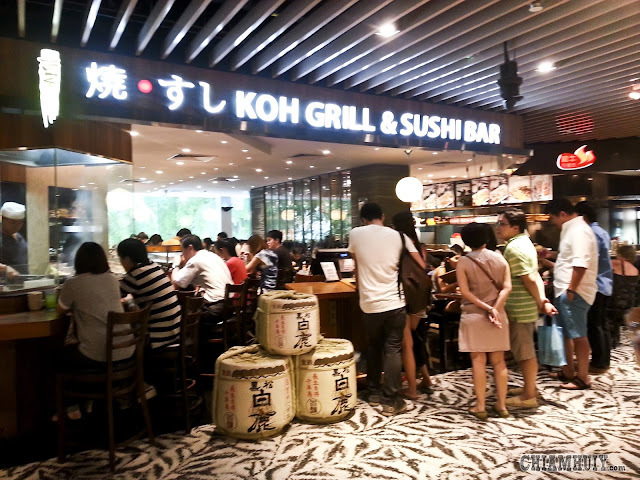 You might not know what is Koh Grill and Sushi Bar, but surely you would have heard of the legendary "Shiok Maki". 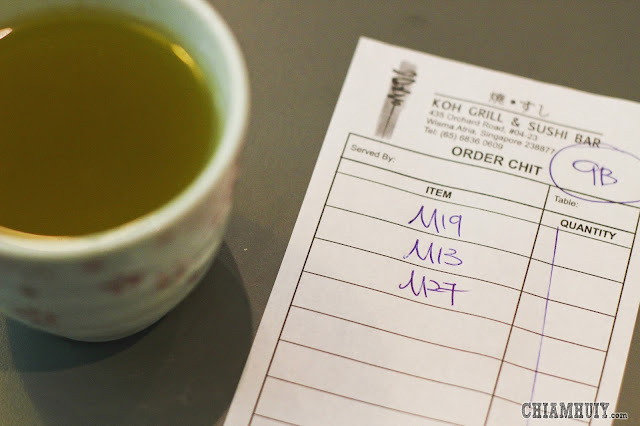 "Shiok" is a commonly used slang word among Singaporeans to express satisfaction. 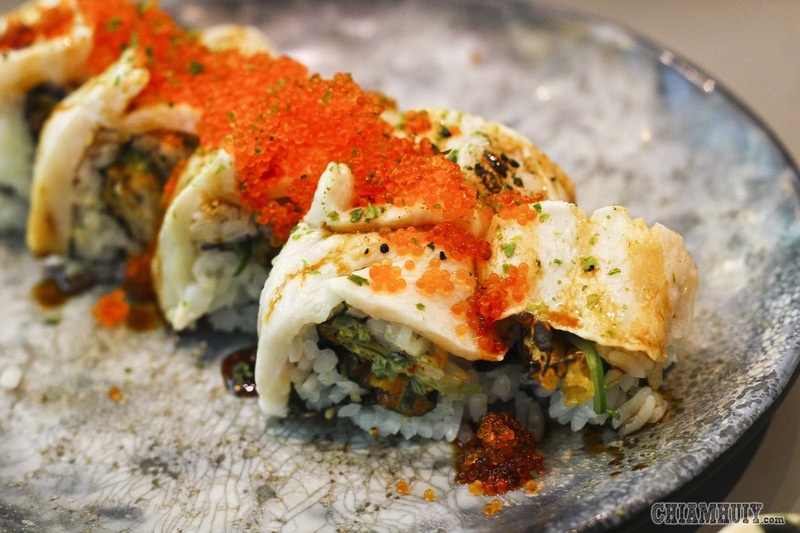 Be it on instagram, facebook or any sorts of social media platforms, people have been raving so much over this Shiok Maki from Koh Grill. So I know I must get down to try it. Other than the shiok maki, I also tried other maki here as well. In fact, I may actually have a different point of view regarding the makis here! Read on to know more. One of the popular maki sold at Koh Grill is the Pitan Maki. 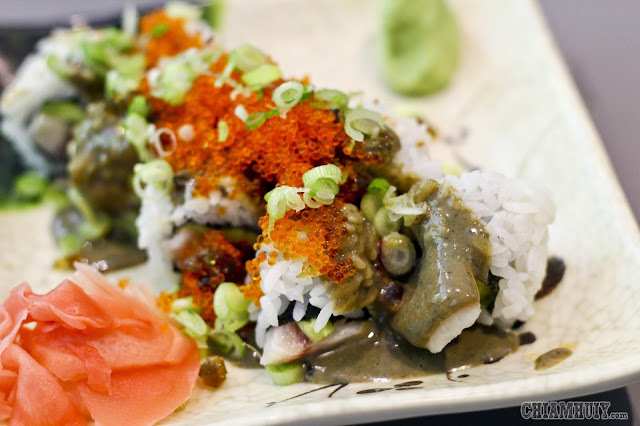 Pitan (century eggs) sauce is drizzled over the maki wrapping avocado and sashimi. 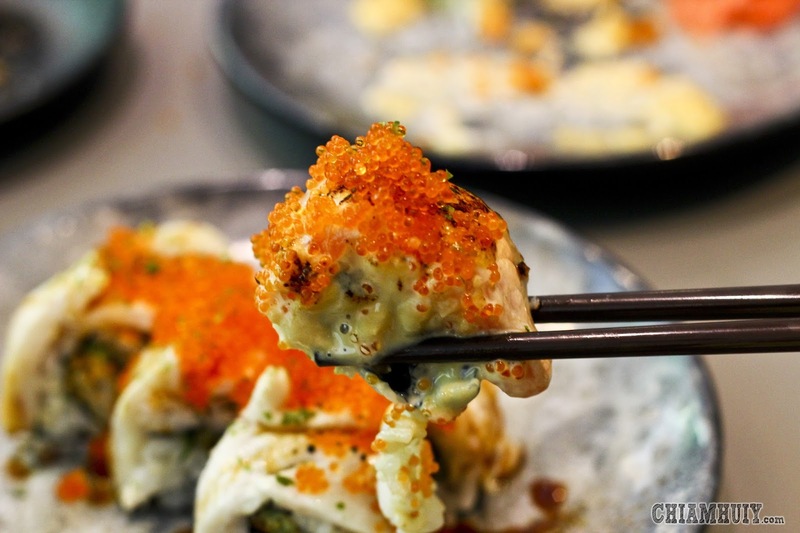 We all know pitan taste really strong, so personally I didn't quite like the overwhelming pitan sauce that covers the taste of avocado and sashimi. Yet on the other hand, my friend actually quite like this dish because of the sauce. So it depends if you have a thing for pitan (century eggs). 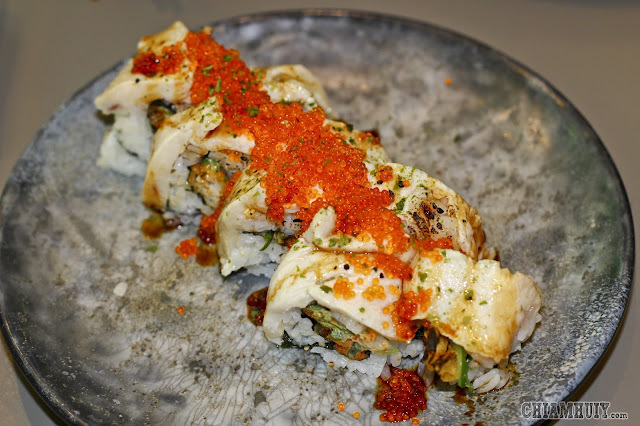 I'm guessing the word "crappy" derives from the soft-shell crab used in this maki. The crappy maki fare much better than the pitan maki. There's no additional strong sauce to confuse the taste bud so I get to enjoy the true taste of the swordfish belly. The smooth tender swordfish belly wraps the Japanese rice very nicely with its adequate thickness. Most of the maki here are also topped with abundant amount of tobiko. And finally, the long anticipated shiok!!! maki. Each and every shiok maki drizzled with charred cheesy mayonnaise and topped with excessive tobiko (again) seems very addictive. Parts of the salmon sashimi that wraps the maki are also scorched so it gives a well combination of raw and grilled salmon sashimi maki. As much as I love this a lot (been here thrice just for shiok maki), the standard differs every time I was here. 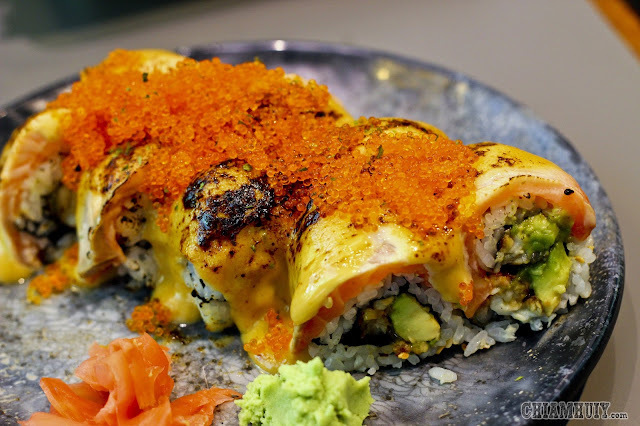 Sometimes, the presentation can be really neat (like the one in the photo) and the taste is satisfying; but sometimes the whole thing just looks like cheese mayonnaise splashed thoughtlessly onto the salmon sashimi wrapping the maki, giving a very mushy texture. All in all, if you want an honest opinion, I would say the maki here can be good but it depends on the time you're here. Avoid the peak hours because the waitresses' attitude AND efficiency differs a lot during different hours. Sometimes, the maki does not hold together well and the presentation is just plain messy. During peak hours, food can take up to 20 mins to be served, and it takes forever for the service crew to refill your hot green tea. Then again, these all happen during dinner time. Queuing take at least half an hour during peak hours. Make sure your get a confirmation reply from them.